Marriage is not easy and there might be times when you have to keep your wedding vows alive and remind yourselves what you promised to each other on your wedding day. Handwrite your wedding vows and exchange them at the wedding. Afterwards, keep your spouses vows tucked away in a close place, like your nightstand, that way when marriage gets hard you can pull them out and remind yourself of the promises that you made to each other. Print them out and place them in a frame to be displayed somewhere where you will see them everyday. This can also be kept on your nightstand or in the bathroom where you get ready every day. Get a wallet sized print out of your vows to each other so that they can always be carried with you. Have a specific phrase or sentence taken out of your vows and engraved on a piece of jewelry that you can wear daily. You can even gift this to your husband or wife as a wedding day present or a first anniversary present. Each year on your anniversary, recite your vows to each other just as you did on your wedding day. Not only will this help remind each other of what you promised on your special day, but it will also take you both back to one of the best memories you share as a couple and bring you closer. If you have a videographer at your wedding then another way you can relive that memory is re-watching yourselves recite your vows to each other. Whether that be every year on your anniversary or just whenever you both feel like things are getting difficult. Even if you don’t write your own vows that you recite at the wedding ceremony, consider writing private vows to each other so that you always have them to look back on when times get hard. 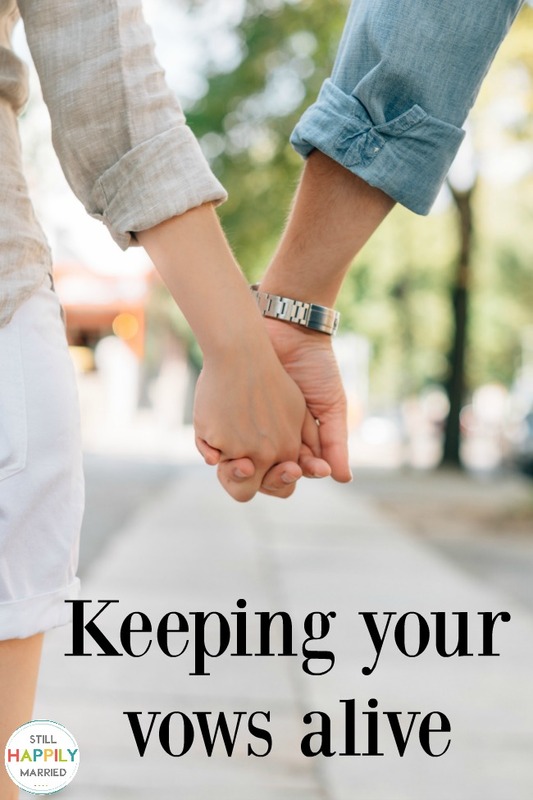 You can even rewrite your vows to each other every year or five years to evaluate where you both are in the marriage and to help make sure you are both on the same page when it comes to your relationship.